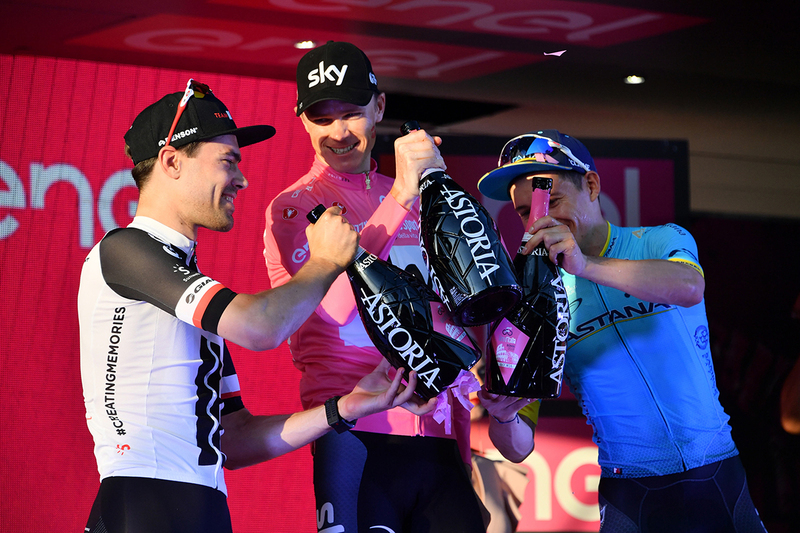 The Giro d’Italia 2018 ended with the triumph of Britain’s Chris Froome and his crowning in the fittingly historic setting of Rome’s Imperial Fora. The 101st edition of the Corsa Rosa was a fascinating one – right from the Big Start in Israel through to the tight epilogue. Tom Dumoulin (Team Sunweb) and Miguel Angel Lopez (Astana Pro Team) finished second and third. 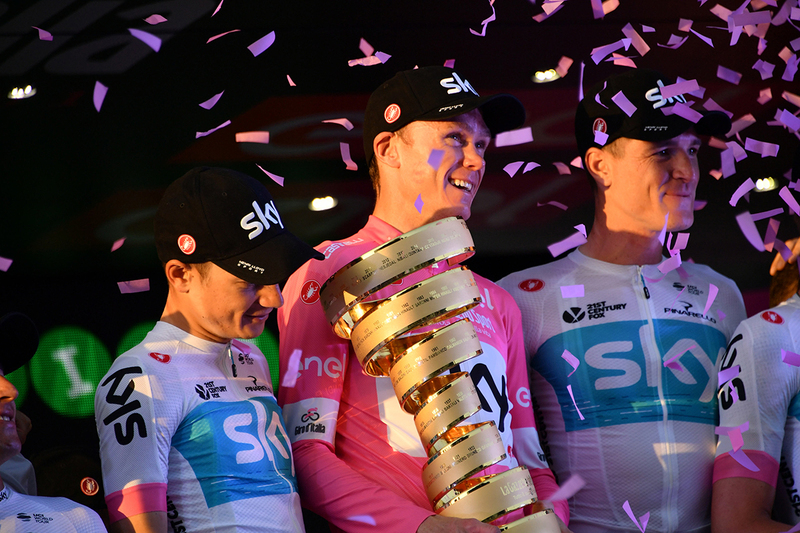 Chris Froome is the first Briton to win the Giro. Only one other British rider has made the final podium in the past: Robert Millar in 1987. 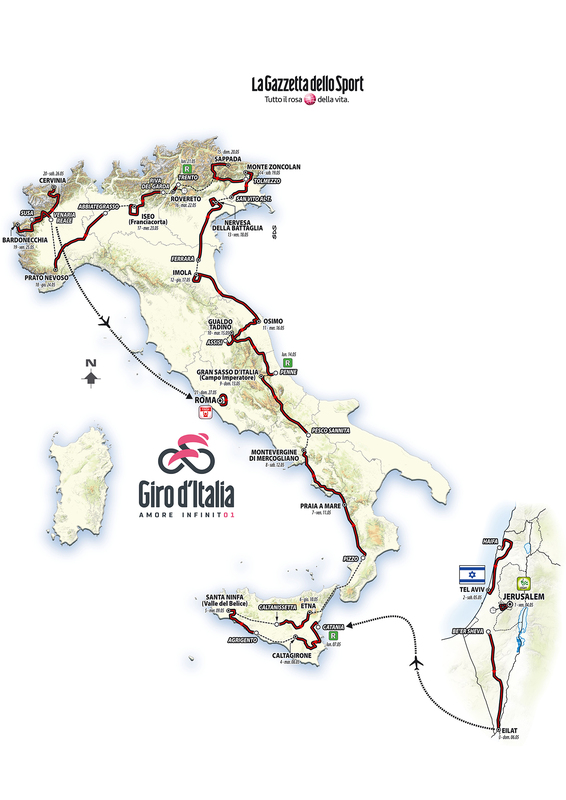 Seven riders are now the winners of three Grand Tours: Jacques Anquetil, Felice Gimondi, Eddy Merckx, Bernard Hinault, Alberto Contador, Vincenzo Nibali and Chris Froome. Before Froome, three riders won three Grand Tours in a row when La Vuelta was contested in April-May, before the Giro: Fausto Coppi (Giro and Tour 1952, Giro 1953 as La Vuelta wasn’t contested in 1953), Eddy Merckx who even made it four in a row (Giro and Tour 1972, Vuelta and Giro 1973) and Bernard Hinault (Giro and Tour 1982, Vuelta 1983). For the third time running, a Colombian makes the final podium: Esteban Chaves (2nd in 2016), Nairo Quintana (2nd in 2017) and Miguel Angel Lopez (3rd in 2018). For the first time in 20 years (since Marco Pantani in 1998), the Maglia Rosa is also the King of the Mountains.